Complaining and grumbling. We probably all fall into this trap at some point or another. Sometimes complaining and grumbling about things we can’t change becomes an habitual pastime. Complainer becomes our name. We complain and fuss over things that have little real importance yet irritate us in some small way. Constant complaining about things is like purposefully putting rocks in your shoe before a long hike. If complaining is a rock in your shoe I hope you’ll read the blog post below (reprinted from 7/29/2014) and take the 24 hour “no complaining” challenge. Be blameless and pure, behaving as children of God. Stand out from a warped and crooked generation. Shine our light among others like the stars of the sky. Hold firmly to the truth of the Word. My wife is absolutely right: the cure to complaining is being thankful and learning the secret of being content. (Philippians 4:11-12) We stop complaining when we start being thankful and practice contentment. You’ve heard the saying, “I complained I had no shoes until I met a man who had no feet.” Let’s declare a ban on personal complaining for at least 24 hours, and then renew the pledge the next day, and the next. See how your life changes and how your light shines brighter, when we refrain from grumbling and complaining when things don’t go our way. This entry was posted in Faith, Living With Purpose and Passion and tagged no complaining, Philippians 2:3-4, Philippians 4:11-12, rock in my shoe, Secret of being content, whining on April 30, 2016 by Bryan Thayer. YOU can make a difference across the world! The headlines we read are almost numbing. So much hurt and suffering accompanied by such feelings of helplessness. We ask, “What could I do to make a difference?” Go Light Our World is pleased to support a missionary friend in Greece we’ve personally known for 30 years. We have to protect her name because of persecution against evangelical Christians from the Orthodox Church there. We’ll call her Mary (not her real name). What we love about Mary is that she gives her entire life to advancing the gospel of Jesus in such practical ways. She purposefully approaches people searching dumpsters for some food. Mary has often invited sick strangers into her home and pays for their medical bills. She is a good friend to a single mom who lost her children through poverty. And Mary is your direct contact, not only with muslims who have never read the words of Jesus, but also with Syrian, Afghan, and Iranian refugees who fled to Greece from the wars that beset their homeland. Maybe you’re thinking, “That’s very admirable, but what does it have to do with me?” Unless you have the means and opportunity to fly to Greece and quickly learn the language, your best opportunity – and mine – is to support a native person who is willing to feed the hungry, care for the sick, and comfort the lonely. . . on our behalf, and in the name of Jesus. Commit to praying. Put it on your calendar. Pray once a day or once a week. Ask God (who knows her real name) to give “Mary” strength and courage and means to carry his good news to hurting people. Pray for people like Mohammad and his family who Mary invited into her home to wash their clothes. Pray for boys and girls who were traveling all alone since their parents gave all they had for them to come to Europe in order to save their lives. Mary saw 5 of these teenagers reading the Gospel of John while I was still there. Give a little. $5-10 buys a New Testament in the native language or a bit of food for those who have so little. $25 or more can help toward the purchase of a tent for a needy family. $34 buys a sleeping bag for a child or mom sleeping in the chilly night air. Thank you for partnering with GLOW in prayer and practical giving and doing your part to advance the Gospel through your love, giving and prayers! www.GoLightOurWorld.org/giving One time or recurring gifts of any amount make a difference! 100% of your tax-deductible gift goes directly to the mission field. This entry was posted in Faith, Living With Purpose and Passion, Relationships and tagged advance the gospel, caring for the least of these, Greece, Make a difference, refugees on April 29, 2016 by Bryan Thayer. The other night we were discussing with friends how the bible clearly indicates there will come a time when it will be hard to publicly worship God and learn from his true Word. Sometimes it’s hard for people to even step in the doors of a church in a free land. We call these “hard places.” It seems likely to me that as religious persecution advances, worship services and bible studies won’t occur so freely in large public buildings, but in smaller “house churches” and “church plants” where a few families gather to worship and share life together. “As a group we have been challenged to live as a living community of Christians by opening our lives more to each other and others in the scheme (housing project). Over the past few months we have been rallying around our vision statement and this has brought a real focus to what we are trying to do. Key to this has been meeting every morning Monday to Friday to have a short bible devotion and then prayer time for 30 minutes. We have been working through our 7 ‘p’s’: Praise, Purpose, Practical, Present, Partners, Personal, People and spending concentrated time each day praying for specific people in the scheme, that they may come to know Jesus. We aren’t followers of Jesus just because we go to church once a week or even read the bible daily. The evidence of our discipleship is that we love one another as he did… living in community with others and opening our lives to each other. Would you pray for Pete Stewart and Pete Bell as they minister to people in hard places? And as you do, take time to consider how you might open your life to others around you, sharing the good news of the one who changed your life – forever. This entry was posted in Faith, Living With Purpose and Passion and tagged a living community of Christians by opening our lives more to each other, Barlanark, changed life, church plant, end times, house church, John 13:35, Love one another, Scotland, transformed life on April 28, 2016 by Bryan Thayer. If being a Christian were a crime, would there be enough evidence to convict me? That is, in what ways is my life different because of the grace of Jesus? And how is he continuing to reveal himself through me? God accepts us where we are but loves us too much to leave us there in our old patterns of self-seeking, prideful, and even hurtful thinking. Just as you want the best for your child, so God longs for his children to live a full and meaningful life. A few weeks ago, Lauren and Hailie, both varsity athletes at Wisconsin-Madison came to the AIA weekly meeting for the first time. They heard about the Winter Retreat in Chicago and decided it would be worth their time. At the retreat, they heard relevant messages about the Christian life. On Saturday morning, they were trained for an outreach to the inner city of Chicago. During that training, Holly, our new AIA staff at Madison, noticed that Lauren and Hailie were confused while discussing a Gospel sharing tool called Knowing God Personally. Holly answered their questions, and they both asked Jesus to be in their lives! Two hours later, they shared the same booklet with a high schooler at the community center and he received Christ as well! One of the strongest evidences for God is a changed life! It is hard to dismiss a changed life. Lauren and Hailie would tell you that they are different now and have just attended church for the first time. If you have ever wondered if college athletes are hungry for the Gospel, I could provide you multiple examples from the 22 college campuses across the Upper Midwest where AIA operates and witnesses “evidence for God,” when He shows up and changes a life. If God can take a couple of college students and in a moment change their lives from confused to compassionate and confident, he can change your life to. He has the power to change your doubt to faith, worry to prayer, anxiety to peace, apathy to compassion, a critical heart to a humble one, emptiness to a full life! Thank you for praying for athletes to come to Christ. Why not ask him to transform your life too? This entry was posted in Athletes In Action, Faith, Living With Purpose and Passion, Relationships and tagged AIA, evidence of faith, power to live victoriously, transformed lives on April 27, 2016 by Bryan Thayer. Marcia and I love to take walks together. Only in recent months they have been short and slow. She is so patient to slow down for “me and my cane.” The other day, I picked up a rock in my shoe and as much as it irritated me, I knew it would take considerable effort for me to bend down and remove my shoe to get it out; I tire so very easily. So I kept walking with the rock in my shoe, pretending it wasn’t that big of a problem. But the longer I walked with the rock in my shoe, my pretending it didn’t matter became less and less convincing. The minor ordeal caused me to think about other “rocks in my shoe” we sometimes tolerate. Like living with worry, regret, anxiety, fear, or doubt. Or criticizing or mocking others or a pessimistic attitude. They’re all rocks in our shoes that limit the enjoyment of our spiritual walk. In fact, they can ruin a whole day grumbling and getting upset over little things. But I wonder if we don’t mind the pain so much, because we don’t take the effort to remove them from our lives. It seems easier to react the way we always have reacted, forgetting – or denying – the power of God’s Spirit to transform our lives in such incredible ways! Other rocks in our shoes may not seem to hurt us at all, but they cause pain to others. If a child complained of a rock in their shoe, you’d help them remove it, right? And yet our incessant focus on our own busy lives prevents us from noticing that others around us (and around the world) have rocks in their shoes they can’t remove – without our help. Rocks such as living on $2 per day, not having money to send children to school (cost of $1/day), not being able to provide a hot meal for a child ($1.25/day), or clean water (pennies per day). If you knew someone who endured these rocks in their shoes, you’d help them out. I mean, which of us cannot afford $1/day or even 50 cents per day? This is how Go Light Our World works. 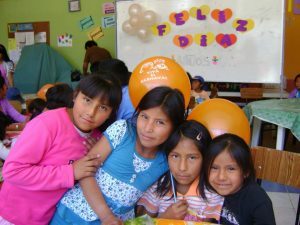 We find children and adults in need, Quechua families in Bolivia. We know them by name and they know us. We’ve known one child for nearly 15 years, others for 5 years. GLOW helps them, often with no more than $1/day, to live a safe life, escape the cycle of poverty, and learn the hope of Jesus. We invite you to help remove the rocks from the shoes of children at risk. Who knows, you might make a lifelong friend and find that your own walk is a little more enjoyable and fulfilling. Go ahead – change someone’s world! 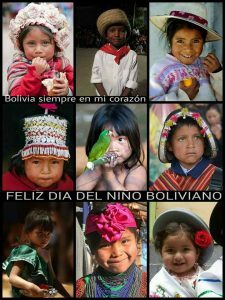 This entry was posted in Bolivia, Bulgaria, Faith, Living With Purpose and Passion, Relationships and tagged change the world for one person, children at risk, Josias, the rock in my shoe on April 26, 2016 by Bryan Thayer. Walls are meant to protect. Ancient cities castles were fortified by protective walls. Inside the wall was safety; outside was risk. Walls establish boundaries and they separate us from unwelcome intruders. Sometimes we also set up “walls” to keep people from knowing too much about us. From privacy walls on our computers to emotional walls that keep people at a distance, walls protect us. And at the same time they also isolate us from others. Maybe you’ve built up a wall of mistrust with someone who once offended you or took advantage of you. Or maybe they built the wall so high you can’t peer over it or get close enough to attempt a reconciliation. Just as there are physical walls and relationship walls that separate us from others, there are walls of worry, anxiety, fear, and pride that separate us from God, from his hope, trust, and assurance, and from peace and satisfaction we long to experience. Can I worry and pray confidently at the same time? Can I experience real peace while clinging to anxious thoughts? Can I truly trust God’s will as best if I insist on having my own way? No, it would be like thinking only of the color black and the color white at the same time. It would be like trying to go east while traveling west. When we insist on dwelling on fear, worry, anxiety, and prideful ways, it builds walls that tower up between us and God’s good promises for us. They can grow to such height that we lose sight of God entirely and see only the darkness of our problems and our self-centered goals without the benefit of God’s light of truth and grace. I’ve built up walls of worry and walls of fear, walls of doubt and walls of prideful ambitions. Haven’t you? There’s a time for building up walls of protection, boundaries that keep us safe within God’s will (Micah 7:11). And there’s a time for tearing down (Ecclesiastes 3:3) walls that separate us from others, walls of worry and anxiety and prideful needs that separate us from God himself. If you search your heart and find you’ve been building walls of worry that separate you from God’s peace or walls of doubt that separate you from his faithful promises, it’s never too late to start tearing them down. “But how?” you ask. “I’ve tried before to surrender worry and doubt and fear and pride. I give them up to the Lord only to take them back on my shoulders again. How can I possibly tear down these walls of worry and fear?” May I suggest that the Word of God is living and true and effective for all aspects of your daily life and mine. Jesus used only the Word of God to refute the devil’s temptations. It is good enough for us too. Reading, repeating, and memorizing scripture puts it right in front of you. Put it on a sticky note before you, and when a wall of worry starts to build up, the Word of God tears it down. The same is true for the counsel of mature (not perfect) believers. Transparent and accountable fellowship with other believers sheds light on walls that are built in the darkness of private thoughts. Two or three workers, working together, can more easily tear down a wall of fear, of doubt, or anxiety. Just as walls are built by the outer strength of prideful self, they are torn down by the inner strength of a humble heart. As President Reagan challenged Soviet leader Mikhail Gorbachev to “tear down that (political) wall,” so it is time for each of us to ask God for wisdom, strength, and courage to search our hearts and tear down the walls of prejudice, judgmentalism, worry, anxiety, and fear in our own lives. Go ahead, “Tear down that wall!” Repeat daily as necessary. This entry was posted in Faith, Living With Purpose and Passion and tagged a time to build - a time to tear down, Building walls - breaking walls down, Ecclesiastes 3:3, Micah 7:11, Tear down that wall, wall of worry on April 25, 2016 by Bryan Thayer. My mother gave it to me years ago because she said it reminded her of my look on life. We all have a problem with problems. We analyze them, strategize about them, fuss over them and complain about them. And yet they continue to cast a dark cloud over our day, our week, sometimes our life. Problems are like a plague. They present themselves at seemingly inopportune times. They are like stumbling stones. They get in the way, irritate us, and cause us to lose footing. They place limits on our abilities and dreams. They hurt when we run into them. Problems interrupt our plans and our confound our lives. The most pervasive of problems humble us and bring us quite to the end of ourselves. And yet, it’s as true just as it is cliché; just as stumbling blocks can be used as stepping-stones our problems fuel our imagination to see life from a different angle. Seeing problems as opportunities changes our perspective and allows us to focus on solutions that bring us to a higher level of living. We know it’s true of simple mental and physical challenges that sharpen our acuity. We know that problems test our patience and develop our character. But what about real problems like a threat to your financial security, cancer, chronic pain, and sorrow? What opportunity is there to be found in these life crushing problems? When focus on problems we only see frustration and pain and sorrow. When we shift our focus from our problems we are able to see new opportunities, even renewed purpose for living. I’m accustomed to thinking there is one way I typically do things. Not only that, but it seems like the right and natural way. It serves a good purpose. They’ve worked for me this far in life, why change? My ways are comfortable to me but they blind me to new opportunities. Enter the problem that forces us to reevaluate the way we live, to examine even our dreams, and our purpose for living. Perhaps the more unsolvable a problem is, the more opportunity it presents to refine our lives. Consider the impossible problem extreme heat presents to precious metal. There is no resisting the force of the fire; the metal has no choice but to melt in the fire. But watch what happens. As the fire intensifies, the impurities in the metal rise to the surface. When the impurities are skimmed off, all that remains is the pure and precious metal. “How do you know when the metal is pure?” asked a novice of the refiner. “When I can see my reflection in it,” replied the master refiner. And so it is with us. The larger problems that beset us act as a fiery furnace that melts us. There is no fighting or strategizing, or controlling what confronts us. We feel trapped precisely because there is no escape. But when we find ourselves completely melted and humbled at the hands of the master refiner, we see the impurities that dull our lives. No longer, “I need this,” or “I must have that to be happy.” No longer, “It’s either all or nothing,” in our demands for quality of life. Every problem is an opportunity to trust God, to draw closer to him, to let him melt away the impurities of our insistent demands, and to see the opportunities he gives to live a truly transformed life in the presence of the problems we face. We don’t any of us pray for problems, but when they come, let’s use them as an opportunity to transform our lives and become who we were meant to be. This entry was posted in Faith, Living With Purpose and Passion and tagged become who you were meat to be, every problem is an opportunity, Every problem is an opportunity to trust God, The Refiner's Fire on April 23, 2016 by Bryan Thayer. Think of a good friend of yours, one you trust and love. One whose character speaks goodness and comfort to you. What is it about this good friend that speaks to you, inspires you, and motivates you to want to spend time with them? What is it about their character that even influences who you are and how you see yourself? When I focus on who is the God I love, he also influences my life in specific and powerful ways. When we ponder his very character we come to experience who he really is. We are drawn to him by how he reveals himself to us. It’s how we see ourselves in his eyes. What do you see when you envision the God you love and trust? Is he the God of all power and might, of all knowledge and wisdom? Is he primarily the holy and just God, jealous and full of vengeance? Does knowing God is everywhere at once and knows your innermost thoughts and desires give you pause to consider how you should act toward others? Does it motivate your life goals and ambitions? Does his love lead you to love and care for others – even those who are strangers to you? Even those you don’t particularly like? Do his faithful promises bring you hope? How do you respond to his forgiveness and mercy, the amazing grace that he pours over you when you come humbly to him? If you could experience only one of God’s mighty attributes, what would it be? I know I would shrink under his power. I would be crushed under his holy judgment and fall so very short of his glory. Even as I grow in understanding, I find his wisdom is too great for me. But… when his grace, so underserved, washes over me, I am at once humbled and lifted up. It fills me with hope that transcends the unworthiness I might otherwise feel in his presence. Because there is no possible way I can get my act together and then come to him, I fall humbly and thankfully before him and receive the most amazing gift of grace and mercy I could ever request. He accepts me as I am, and yet loves me too much to leave me there. This God of unending love and amazing grace restores me to who I am meant to be. It leads me to goodness and peace and contented joy. His mercy is the reflection of his goodness. How could I not love such a God as this?! How could my life not be devoted to the one who loves me and guides me and who fills me with promised hope that does not disappoint? Yes, God is full of power, wisdom, holiness, and judgment. His ways are so much higher than my own. I could think of a hundred reasons to love and fear him. But it’s his mercy that continually draws me to him and teaches me to love others. Who is the God you love? This entry was posted in Faith, Living With Purpose and Passion, Relationships and tagged God of mercy, God of power, God of strength, God of wisdom, the God I love on April 22, 2016 by Bryan Thayer. I was listening to a recording of Louis Armstrong singing, “What a Wonderful World.” The gentle lilting melody and soothing lyrics comfort an anxious soul. Really, the lyrics are a testimony of a grateful life. It wasn’t always that way. Being born to a poor family in New Orleans, living in a rough neighborhood known as “the battlefield,” abandoned by his father, and going through troubled marriages, Louie Armstrong knew the bitter side of life but in the end chose to embrace life’s better side. Instead of dwelling on the hard times of his life, he used it to inspire his music that brought happiness to so many. It was for him, “Something to live for.” His last hit song, What a Wonderful World, portrays a world of simple beauty and peace: leafed trees and flowers, passing clouds and colorful rainbows, the friendly smiles and gestures of people going about their daily life, encouraging and loving one another, and the miracle of watching babies grow and learn. What a wonderful world when you’re surrounded by friends and family! The solution to looking down at our problems is always – always – looking up. Looking up to find beauty and calm and simple joy in the miracle of life that surrounds our pain. Looking up to peer deeply into someone’s eyes and building a bond of understanding. Looking up from the hopeless headlines and committing to one small way to make a big difference in someone else’s life. Looking up to find a loving God who sees you where you are and invites you to rest from your burdens. But if your world has suddenly and unimaginably fallen apart, or become worn down by the constant pressure of enduring sorrow; if it seems that the whole world is decaying around you, and your enemies, like cancer, press against you with increasing pressure, is there any beauty and comfort yet to be found? We have very many things we’d like to ask of the Lord, including the rescue from our deepest woes. But the one thing we could ask that makes more difference than anything else, is to dwell in the comfort and strength of his presence and catch a glimpse of the wonder of God’s unending love and amazing grace, offered freely to you and me. Go ahead. Ask. It’s a free gift. This entry was posted in Faith, Living With Purpose and Passion and tagged it's a wonderful world, Louie Armstrong, Psalm 23:13-14, Psalm 23:4, surely I will see the goodness of the Lord in the land of the living, the one thing I ask from the Lord, The solution to looking down at our problems is looking up to our Lord, wonder of God on April 20, 2016 by Bryan Thayer.